Qantas Wallabies. Photo: Getty Images. International rugby union action returns to Canberra when the Qantas Wallabies take on Argentina at GIO Stadium this Saturday. This is the first Test match to be played in the Nation’s Capital since 2010 and is part of the 2017 Rugby Championship series. Crowds should expect some exciting rugby this weekend. For some this Test will be like a home game, as six Brumbies players have been named in the Qantas Wallabies squad: Allan Alaalatoa (prop), Rory Arnold (2nd rower), Scott Sio (prop), Tevita Kuridrani (centre), Joe Powell (half-back), Henry Speight (winger). Former Brumbies Captain Stephen Moore, who moved to Queensland Reds earlier this year, is also included in the Wallabies squad. Argentina scrumhalf Tomas Cubelli is also expected play in this clash against his former Brumbies teammates. Scott Sio is a new breed of front rowers in the Wallabies squad and is one of the Australia’s most talented set-piece props. He has lived in Canberra and played in the Brumbies, Canberra’s Super Rugby team, for the past six seasons. Canberran’s are passionate and love their Rugby; they are like big family said Sio. “It’s pretty special for me to be able to play a test match here [in Canberra] in front of a lot of loyal Brumbies and Wallabies fans,” he said. Sio said the Argentinian team have a strong set-piece, with a lot of flair out wide and they are able to attack from anywhere on the field said. The Wallabies have a strong attacking structure and have definitely improved their intensity, one-on-one tackles and defence over the past two test matches. “We’ve always had very close encounters with Argentina the last few years. So here’s to a good Test match in Canberra this weekend,” he said. Sio said Canberran’s should expect to see some exciting, free-firing rugby this weekend. 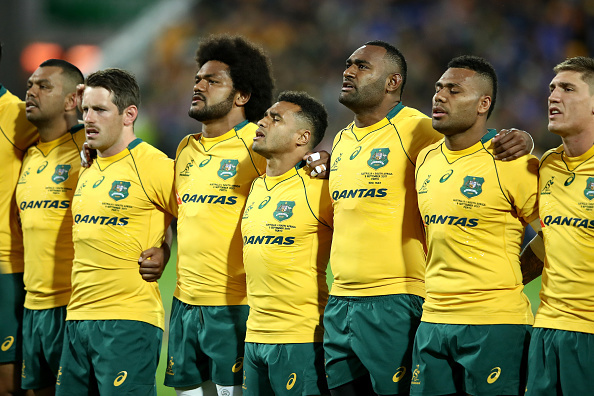 The Wallabies have won each of the four previous Test clashes in Canberra, defeating Tonga, Argentina, Italy and Fiji between 1998 and 2010. The Qantas Wallabies v Argentina Los Pumas at GIO Stadium Canberra on Saturday 16 September at 8 pm (AEST). Tickets for the Qantas Wallabies 2017 Rugby Championship are available through Ticketek. Doug Dobing is a modern communicator, journalist and content creator with a passion for people, politics and social justice. 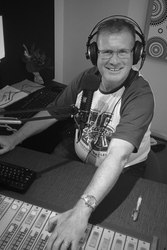 You can also hear him talking about local current affairs issues on 2XX FM 98.3 SubjectACT. You can find him on Twitter @DougDobing. I tried to get the prices of tickets through the link to Ticketek but they are not evident unless one makes a commitment to purchase them. Anyone know what the cost is?